Meet Dr. Cortney Mitchell, Au.D. When asked how I chose Audiology as a profession it is difficult to sum up briefly. I grew up performing manual labor and operating heavy equipment and semi-trucks for my father’s construction company – and loved every minute! Ideally, I wanted to continue a profession allowing me to be outdoors all day every day. I considered pursuing a landscaping degree; however, science and the human body has always amazed me and was something I wanted to study. I stumbled into the field of audiology not even knowing what an audiologist was. I was pursuing a degree in speech pathology when I was required to take a few courses in audiology. I was fascinated by the complexities of our sense of hearing as I took the various courses on hearing/communication. My interest in audiology peaked as I learned that audiologists diagnose newborn babies hearing loss and provide the means to hear their parents’ voices for the first time; I learned that identification of a hearing loss in a toddler or child struggling to develop language or succeed academically can ameliorate the situation with proper audiologic diagnosis and treatment; I learned that audiologists could help teenagers and adults of all ages avoid depression, social embarrassment, anxiety, limited employment in the workforce and even avoid early onset dementia. I am happiest when helping others and becoming an audiologist was a perfect fit for me. Being an audiologist has been greatly rewarding. I recognize that we are all unique individuals with very unique needs and have enjoyed the challenge of personalizing each of my patient’s diagnostic/treatment plans. I feel fortunate to be a part of this time in history when technologic advancements have allowed audiologists to do this better than ever imagined. When not working at our main professions, my husband and I are busy raising our 4 young children in addition to raising alfalfa hay and a small herd of cattle and horses. A few of my obsessions are my husband, my children, my horses, landscaping our homestead, jogging, skiing, basketball, playing the piano, and anything and everything to do with outdoors and adventure. I grew up in Teton Valley, Idaho, directly under the beauty of the Grand Tetons. I am a mountain girl at heart. My husband couldn’t move his potato company to the mountains so I am happily here at the base of Mt. Harrison and in the reflection of the Snake River living all my dreams! 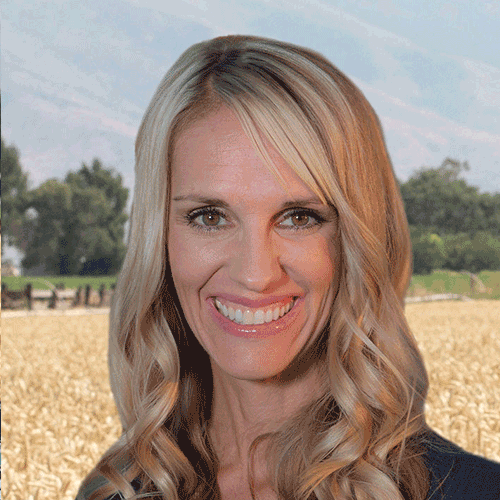 Schedule Your FREE Consultation & Meet Dr. Cortney Mitchell today! To learn more about the cutting-edge hearing care provided at Mt. Harrison Audiology, give us a call at 208.312.0957 or CLICK HERE to request your complimentary, no-obligation Mt. Harrison Audiology Communication Consultation today!